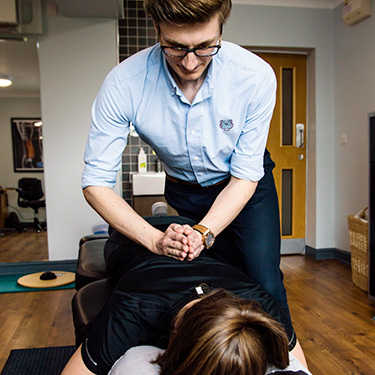 Welcome to Crossgates and Rothwell Chiropractic Clinics! When you’re ready to schedule your appointment, ring one of our locations and speak with one of our friendly staff, who will assist you. We look forward to meeting you. 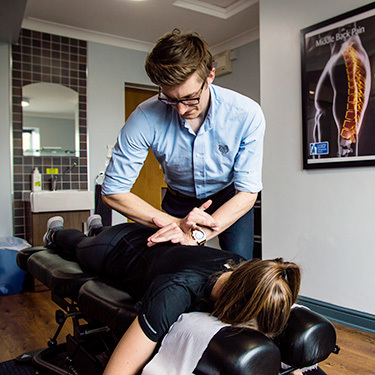 Your first appointment consists of a consultation and examination with your chiropractor. They will then detail what they feel the problem is and how we may help. If appropriate and time allows, a treatment is included on the day. If treatment isn’t indicated or more time was needed to complete the exam, your treatment can begin the following day. Please wear loose-fitting clothing and trousers or shorts. If you are arriving from work, you can change into a gown. You can allow for about 45 minutes for this visit. Please download this health history form, complete it prior to your appointment, and bring it with you. Our approach involves relieving your pain and making you comfortable as quickly as we can. You’ll learn about the lifestyle modifications and exercises you can do to stay well. You’re welcome to return to us for ongoing care on an as-needed basis. Contact our team today to schedule your first appointment!